Peel the skin of cucumber and chop them finely. Mix cucumber, ginger, green chilli and salt with your hands. Add beaten curd to the cucumber mixture. Heat oil in a pan, splutter mustard seeds. Then add curry leaves shallots and red chilli flakes. Pour this seasoning over the curry. Serve with rice. Wow! 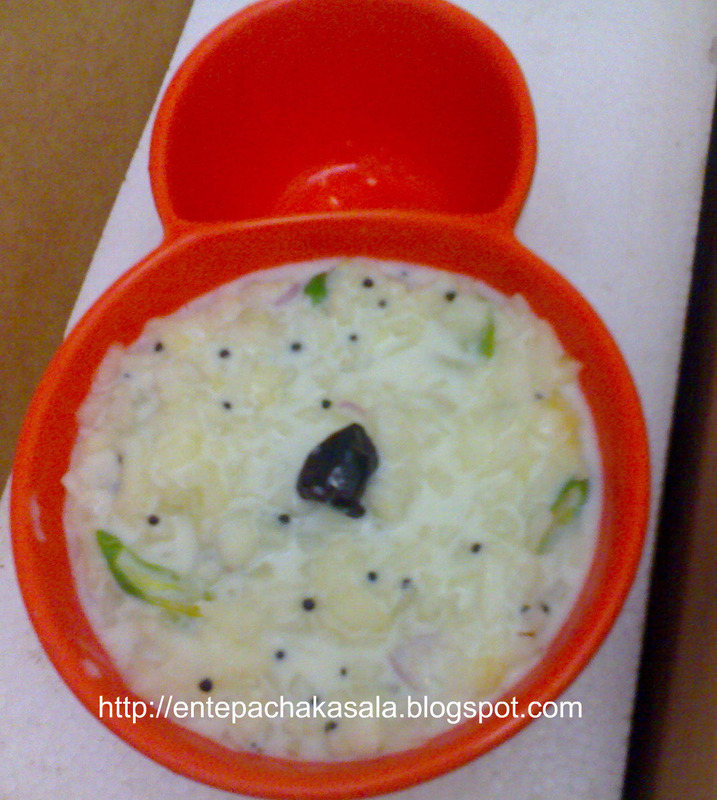 Jaai..this is perfect for this summer..yummy recipe..
nice and simple pachadi.thanks for visiting my blog and giving a lovely comment.you too have a nice blog. Vellarika pachadi kollam. nice one. perfect accompaniment for this hot hot summer ! Nalla cucumber pachadi analo. Lovely white color.. Simple and yummy pachadi..Love it!! Njangal vellarikka cook cheythu, ground coconut pasteum cherkkarundu pachadikku..This is really easy to prepare..
That is really cool (literally) and simple. Thats a refreshing pachadi, love it ..
wonderful pachadi jai... lovely..first time here and u have a great collection of recipes.. following you.. I love this too...Great to find you space..
my Fav..looks adipoli..athe...pinneyum color mattiyo?? ?